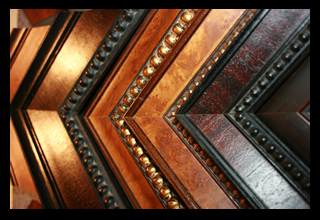 The Frame Shop specializes in Conservation Framing and carries over 1,000 frame samples in many styles, from ultra modern to circa 1500’s period designs. Beautiful wood samples and a great selection of conservation paper and fabric mats are available to choose from at the Gallery. Customers are welcome to take some of these samples home to match colours and styles against their existing decor, or to assist in creating a completely new look.